Raillencourt is a village in the Department of the Nord, about 5 kilometres west of Cambrai on the main road to Arras, D939. 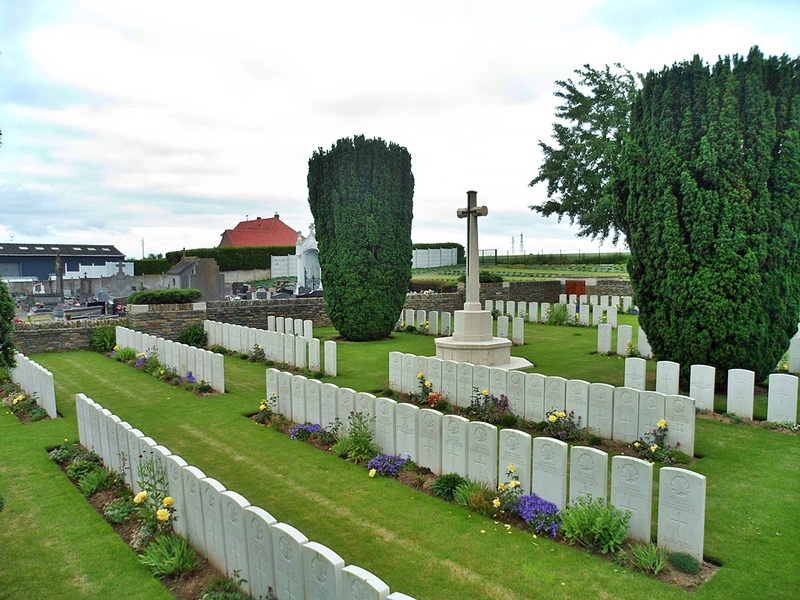 The Communal Cemetery is located on the main road about 700 metres from the entrance to the village from the Arras side. Raillencourt village was captured by the Canadian Corps on 28 September 1918, in the Battle of the Canal du Nord. NORTH CEMETERY, RAILLENCOURT, which was situated between Raillencourt and Cambrai, behind the houses of St. Olle. It was made by the 8th Infantry Brigade and named after Lieut. J. W. North, who was buried in it. It contained the graves of 67 Canadian soldiers (63 of whom belonged to the 1st Canadian Mounted Rifles) and five others. 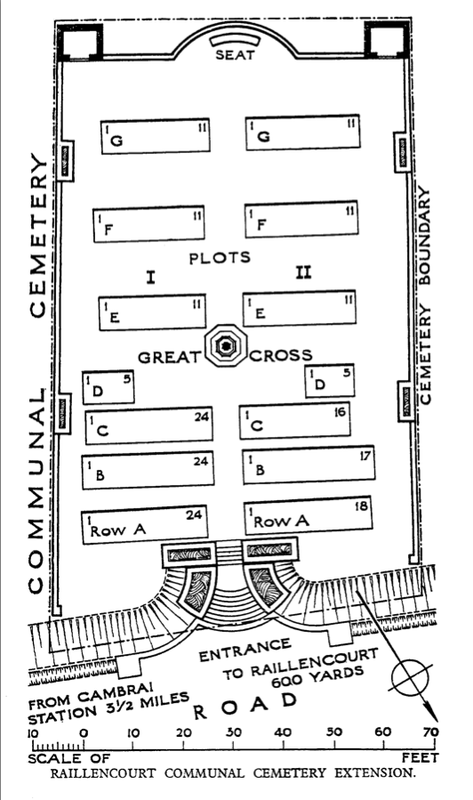 The cemetery now contains 199 First World War burials, eight of them unidentified. 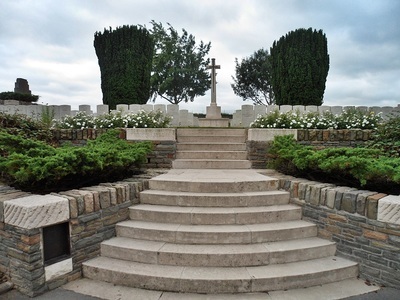 Casualty Details: UK 22, Canada 174, Australia 3, Total Burials: 199. The cemetery was designed by W C Von Berg.